All tracks of Breakfast With The Blades is available on the compilation album, 3 EPs from online music stores: iTunes (US, Mexico, Canada, UK, EU, Australia/NZ and Japan), Myspace Music, Amazon mp3, and Rhapsody. 1. Bladebeat The working title was “Backbeat”; it began as the simple little groove that begins the track. On a couple of occasions I listened to it while following the Blade’s games and making breakfast, eventually coming to think of it as “Bladebeat”. Though it inspired the title of this EP, the track was not completed until after the Blade’s season was over because I became superstitious about messing with the file during their final run for promotion. 2. Yes Delirious Joy Composed the day after the anxiety-inducing, near-miraculous win over Nottingham Forest in the second leg of the semi-final, it reflects my state of mind at that time. Stuck for a title, I gave it the working title “Yes Delirious Joy” because after the semi was over I had clipped and stuck a temporary word “tattoo” on my arm with those words. (Other peel and stick word tattoos I pieced together included “forever blade” and “united is golden” for the Final.) Although I was rather limited in my choice of words for the stick-on tattoos, “yes delirious joy”, “stuck” as the title for this song. 4. The Final Composed in the afternoon (remember, the game was a morning game for those of us in the States) after The Blades went down 3-0 to Wolverhampton in the First Division Final, in Millenium Stadium, Cardiff, Wales, May 26, 2003. A dirge, an elegy…I drapped myself in strands of music like mourning clothes that afternoon and I mourned the end of a brilliant season. There are three main voices in this piece. Without assigning each voice specifically, I nevertheless think of the three main themes as representing the players, the fans, and the organization (coaches, manager, board), all of whom no doubt felt as heartsick and wrung with grief as I did. 5. The Final (No Reason To Dance Mix) Many good musicians have done it. Many have had it done to their songs by other less talented musicians. We live in the age of the remix when DJs and remix virtuosos take perfectly good songs–sometimes even great songs–and slap on a dance beat without regard for the original music which sometimes isn’t well suited to being tarted up by a disco beat. Songs that are slow and sad, angry and brooding, quiet and thoughtful nevertheless have been subjected to the relentless inappropriate beat. Who am I to buck the system? Why go against the flow just because I dislike it? This is a homage to the “dance mix”. This is for all those people who like to have a dance beat plastered willy nilly onto an otherwise beautiful song, thus marring it. My theses in this “dance” remix of The Final is that one cannot change a song’s true nature by adding a twitchy beat; a sad song remains a sad song and my efforts here are simply to try to make the beat not sound as incongruous and “pasted on” as so many remixes. I have defied the dance mix tradition by not substantially lengthening the song. I only added a few beats at the beginning as it seemed to need a a bit of breathing space between when the beats begin and when one of the main voices enter. This version remains inferior to the original and no amount of remixing could change that. A sad song should remain a sad song. 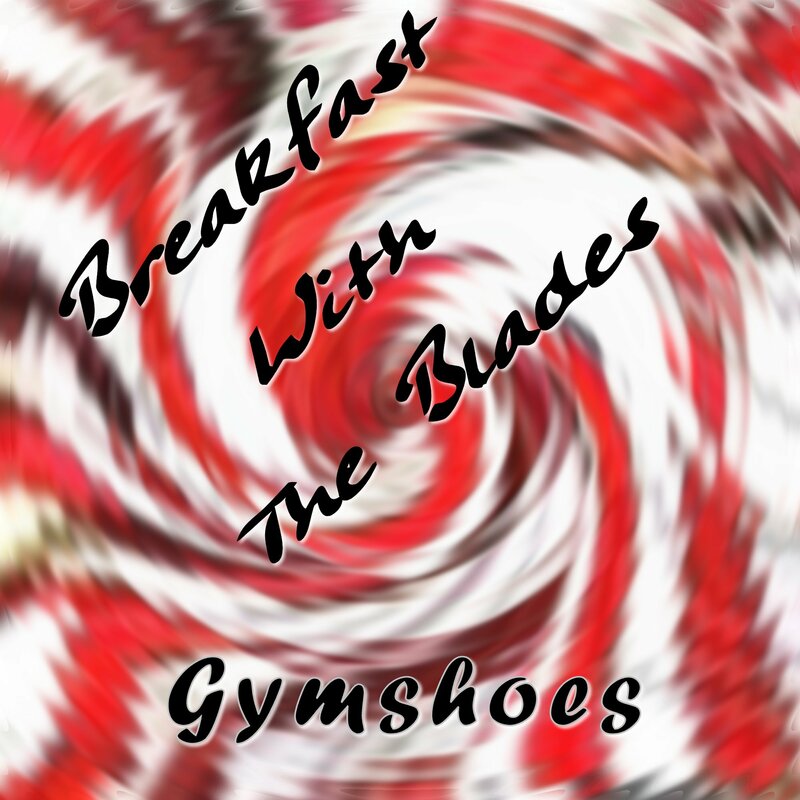 All tracks of Breakfast With The Blades is available on the compilation album, 3 EPs, available from online music stores: iTunes (US, Mexico, Canada, UK, EU, Australia/NZ and Japan), Myspace Music, Amazon mp3, and Rhapsody.